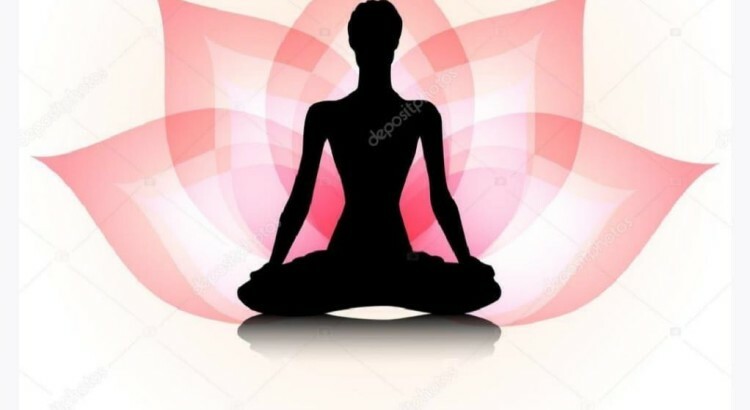 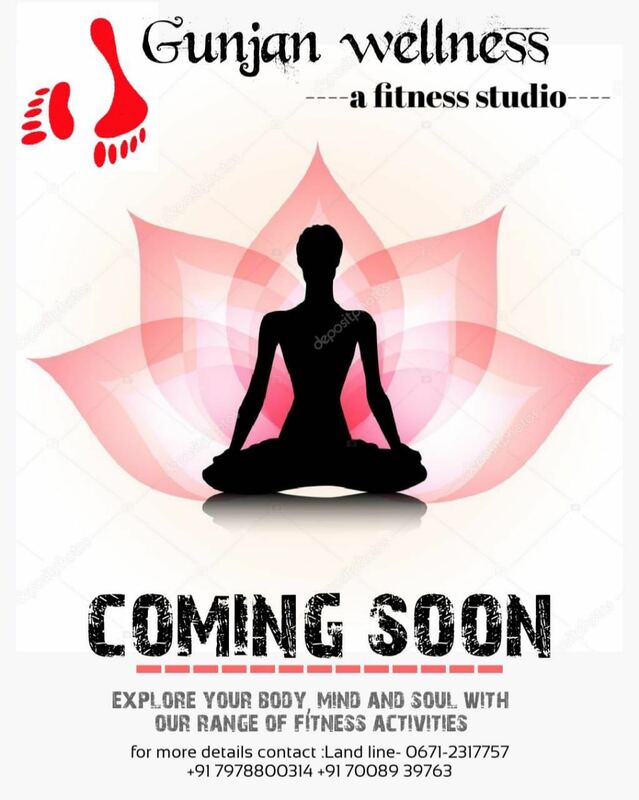 Gunjan Dance Academy is soon coming up with a fitness studio “Gunjan wellness” in an effort to make people come out of their comfort zone and leading them towards a healthy lifestyle and making them more aware of their surroundings to explore their mind, body and soul. 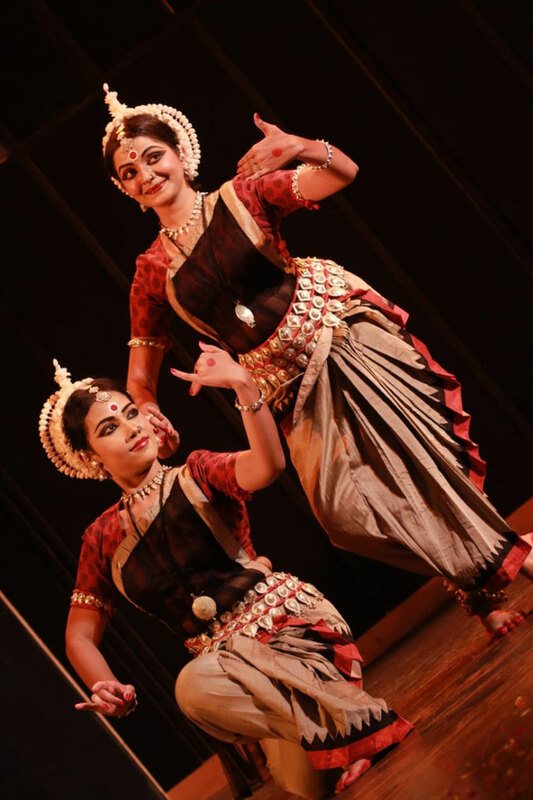 “Nritya Pravaha” an Odissi evening organised by Gunjan Dance Academy in collaboration with Vaishali Kala endra, New Delhi on 24th August at the Indian Habitat Center, New Delhi. 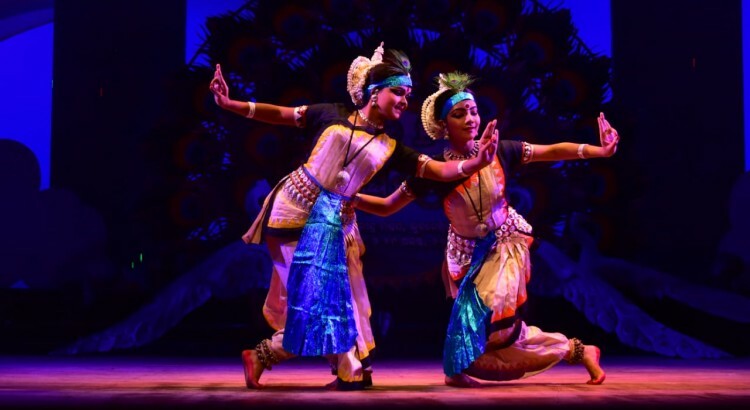 The evening witnessed two of the major styles of Odissi i.e Guru kelucharan Mohapatra’s and Guru Deba Prasad Das’s. 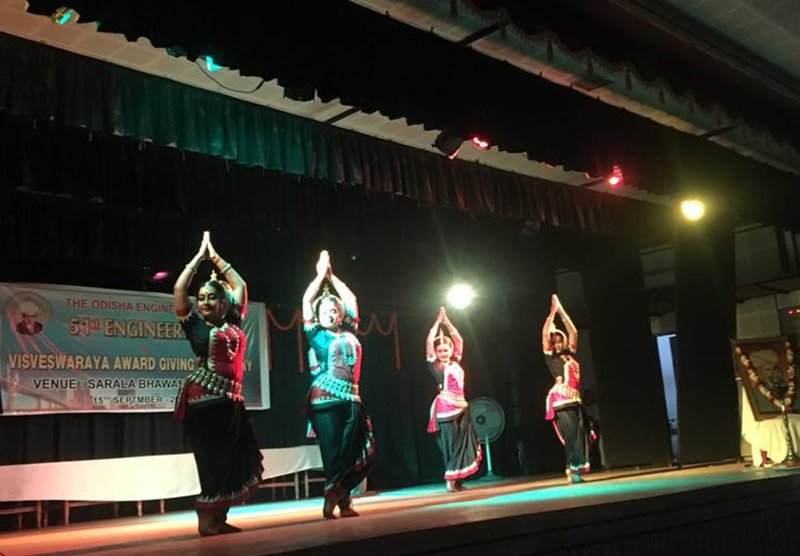 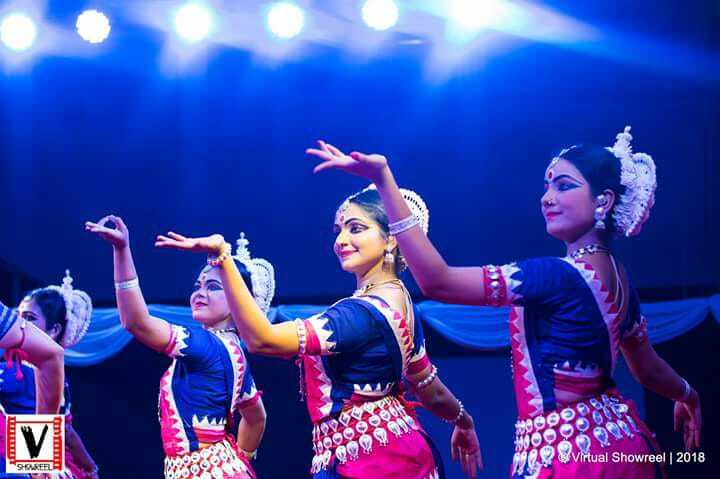 Gunjan Dance Academy presented Jagannath Mangalam followed by Nrutta a pure Dance number. 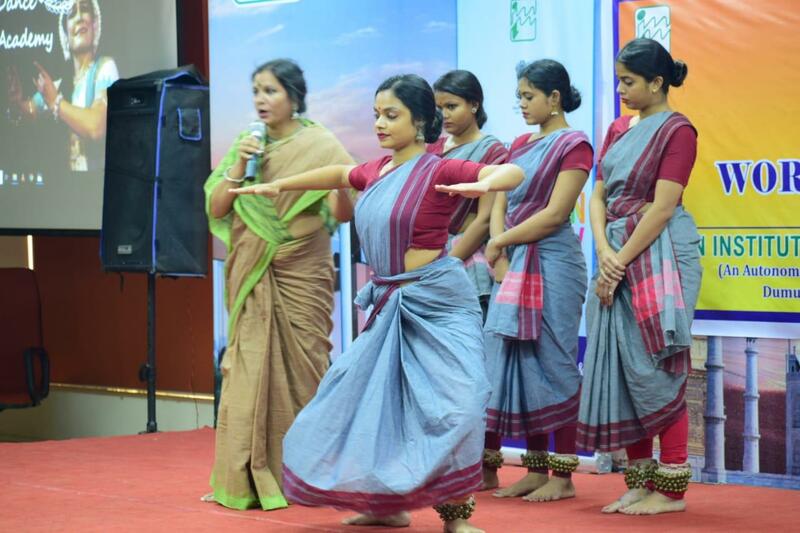 Smt Meera Das performed ‘Sakhi he’ an astapadi from gita govinda and the event concluded with ‘Jeevan Sangeeta’ (song of life) which is an unique choreography of Guru Smt Meera Das describing “life” followed by Shanti Mantra. 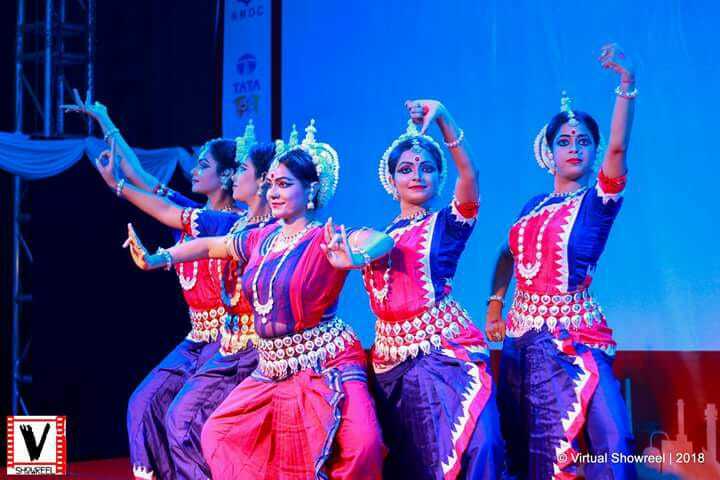 The event was very well received by the art lovers present there. 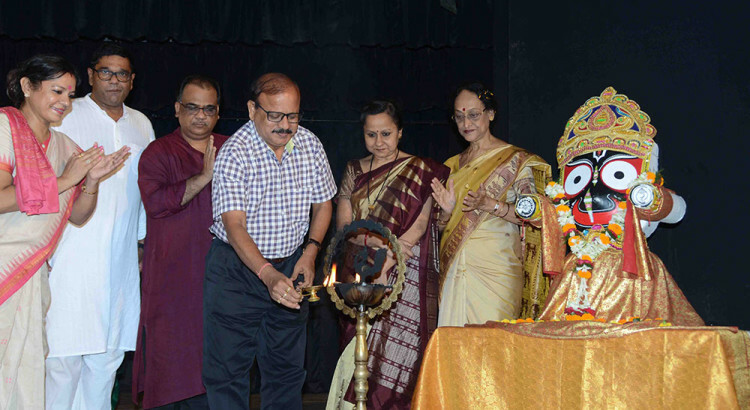 “Megha Utsav” a festival organised by Odisha Sangeet Natak Akademi in collaboration with Lalit Kala Academy and Odia Language Literature & Culture department was held on 28th August at rabindra mandap, BBSR. 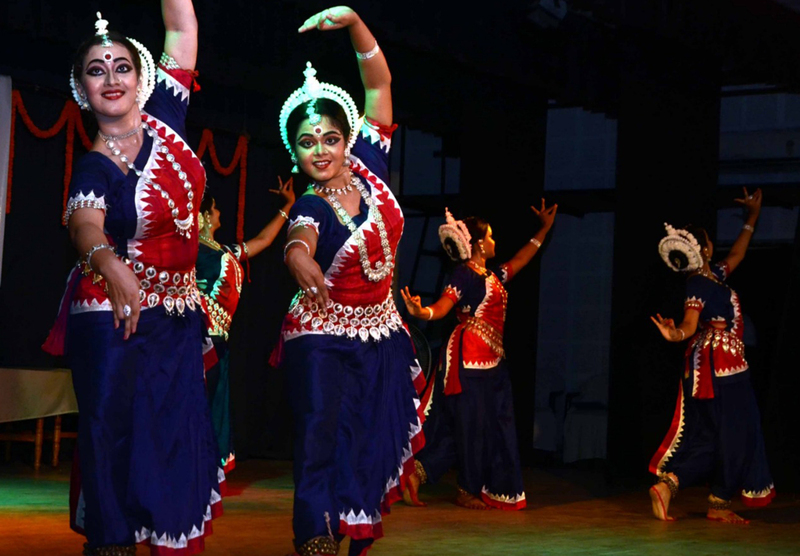 Guru Smt Meera Das along with her senior disciples presented 30 minutes of Dance recital *Barsha* describing the Dance of peacocks, vigorousness of thunderstorms and different moods of rain in a colorful way. 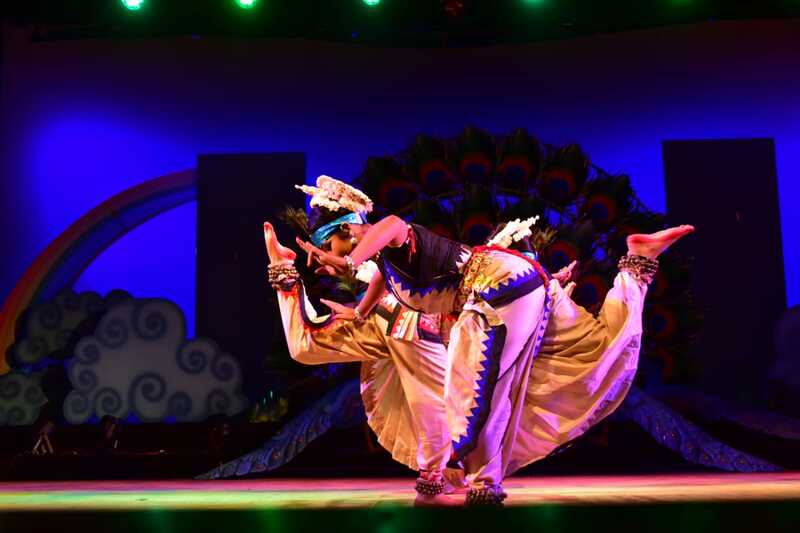 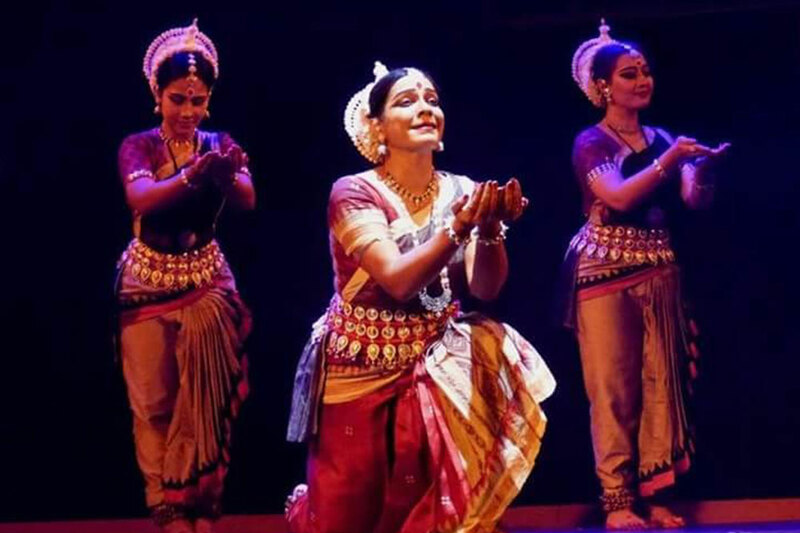 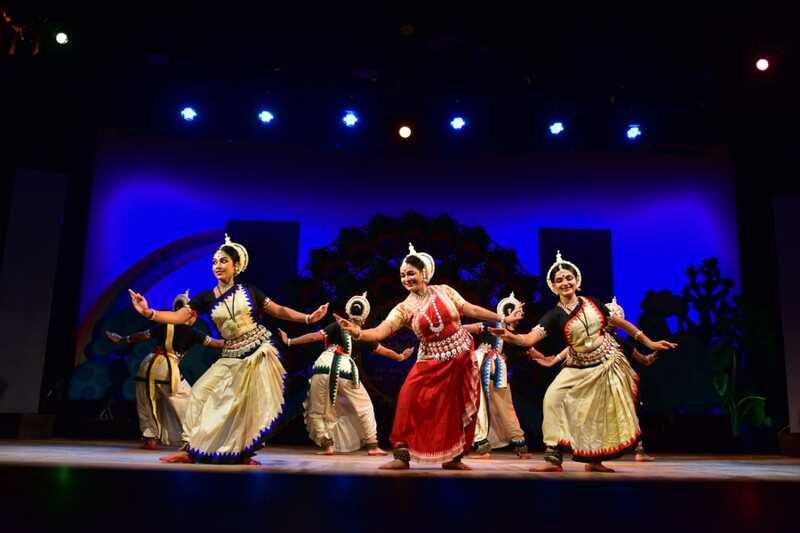 The Dance Choreographed by Guru Smt Meera Das and the music composed by Baikuntha Nath Pattnaik. 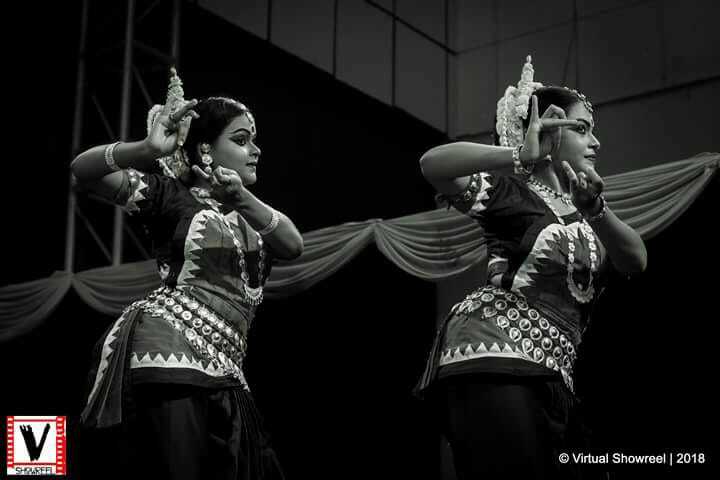 The performance was very well received by the art lovers present there. 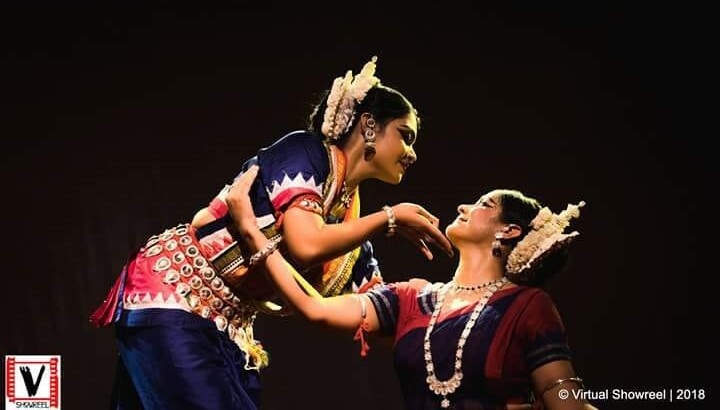 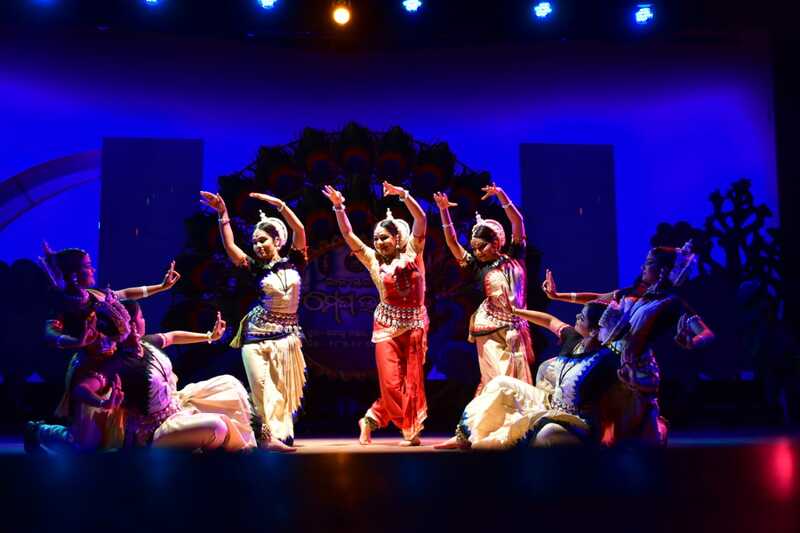 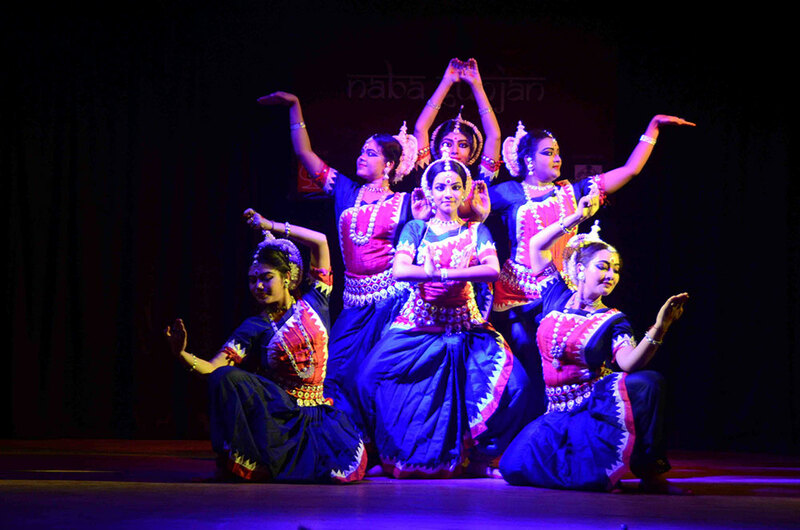 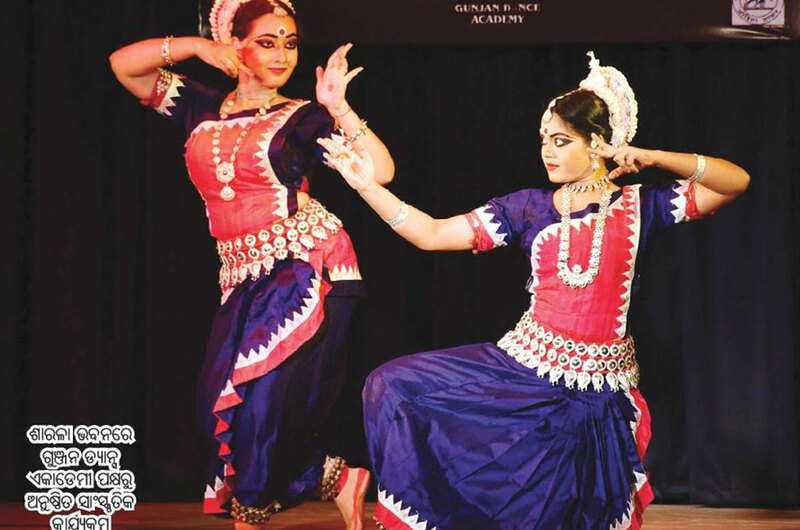 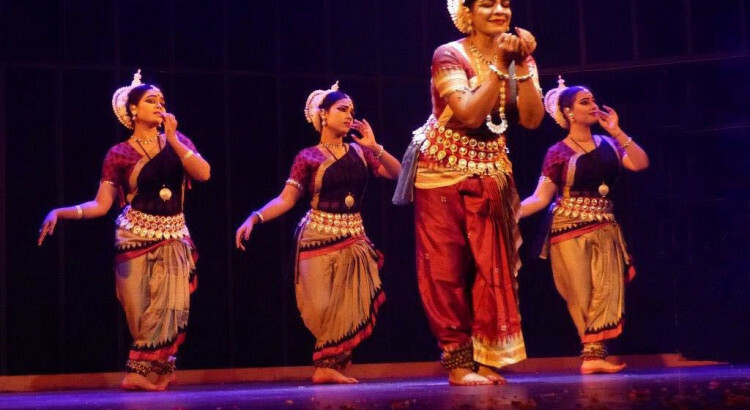 “Naba Gunjan” an initiative of Gunjan Dance Academy which made its debut last year with a aim to provide a platform to the young odissi dancers from all over to showcase their skills, saw an overwhelming response in it’s second year. 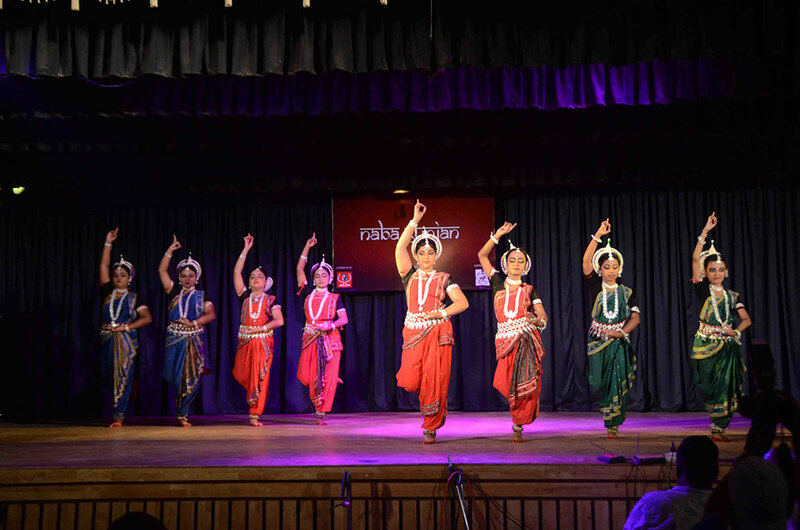 The well attended event held on 10th June witnessed some tough competition, good dancers & wonderful compositions. The experience was further enriched by the tips & observations made by the esteemed jury comprising of guru shri Ratikant Mohapatra, Smt. 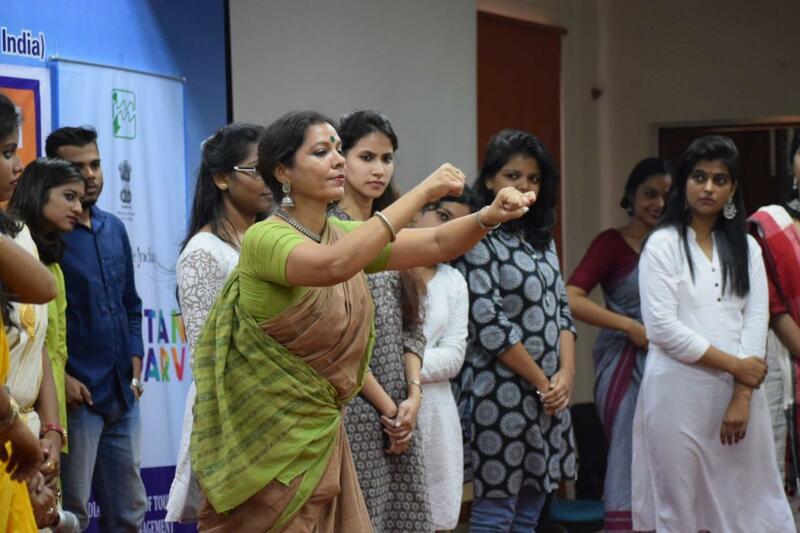 Mamta Kar, Smt. 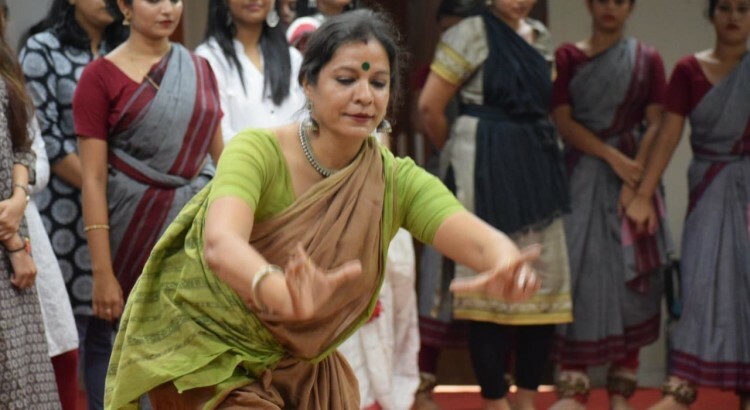 Chapala Mishra, Smt. 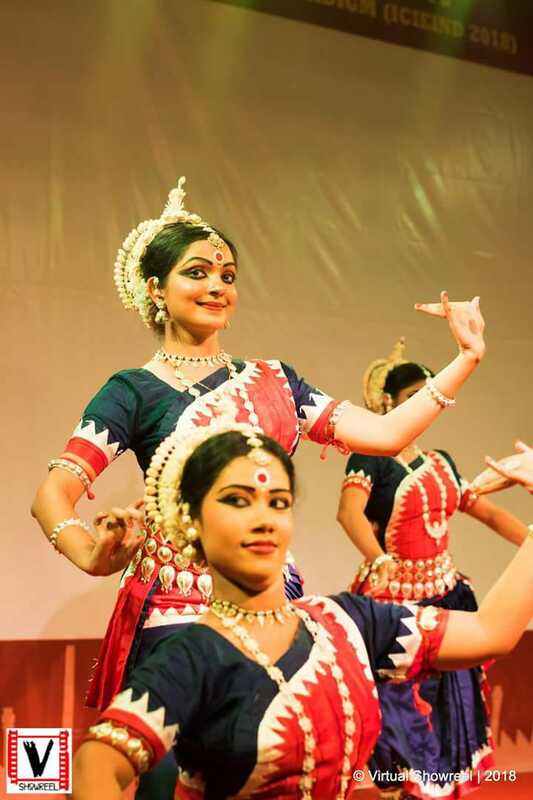 & Nishi Das. 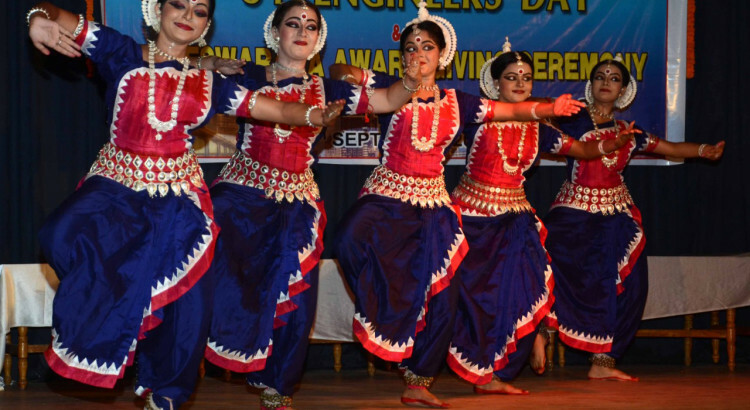 The day long event culminated with a series of performances by the winners of both category and group dances by the young dancers of Gunjan.The event was well managed by Sasmita panda along with Munmun Singh, Swapna Dutta, Swarnamayee Behera,Sweekruti Das, Akankhya Mohanty,& Bhagyashree under the watchful eyes and guidance of Guru Smt Meera das. 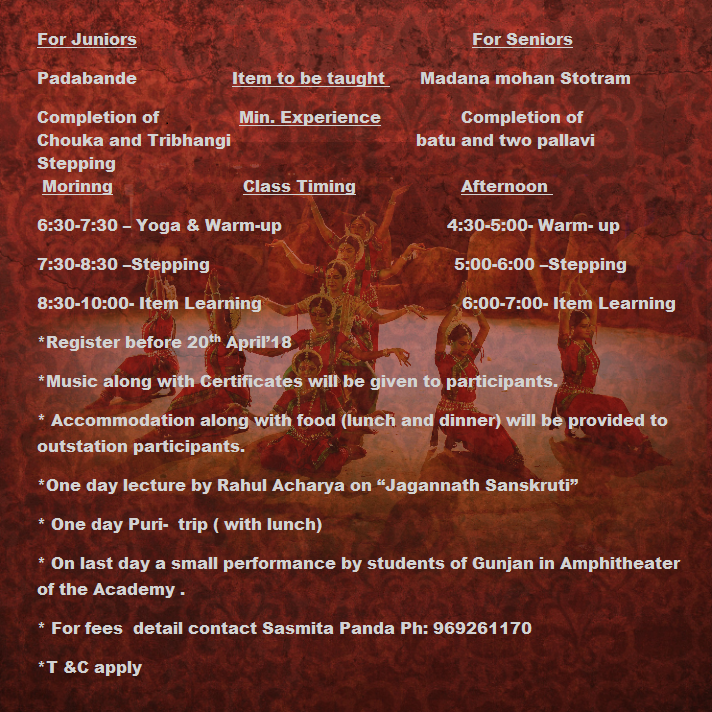 Sasmita Panda a senior disciple of guru Smt. 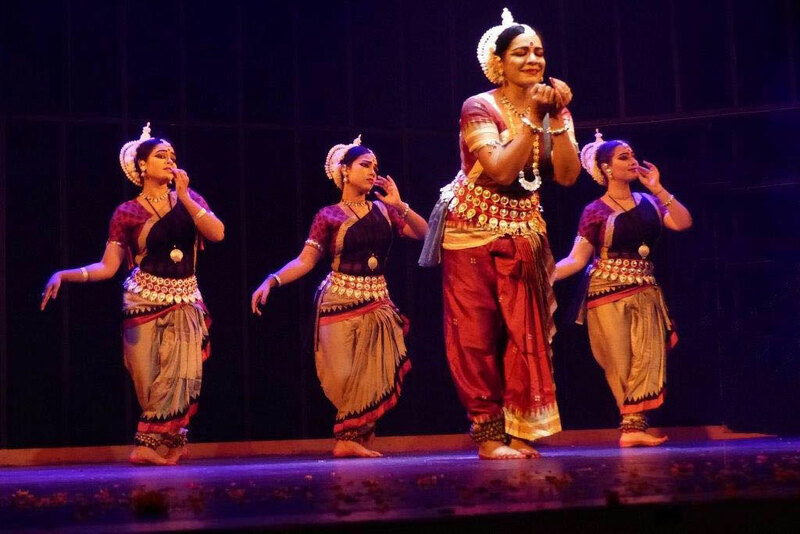 Meera Das performed in 13th debadasi festival organised by Debadasi Nrutyanjali..
She performed hamsadhwani pallavi which is one of the finest choreography of padmabibhusan Guru Shri. 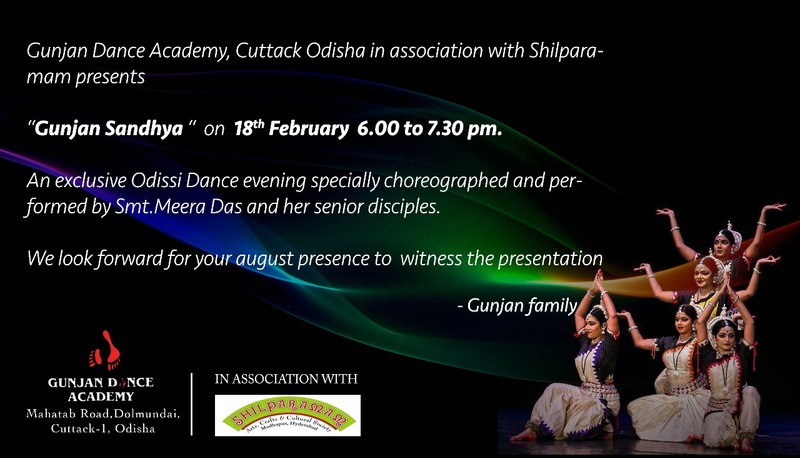 Kelucharan Mohapatra and taba-birahe an abhinay from gita govinda(astapadi) choreographed by guru Smt. 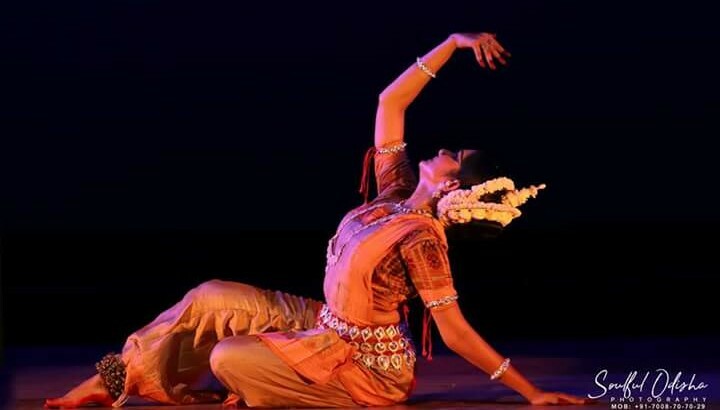 Meera Das. 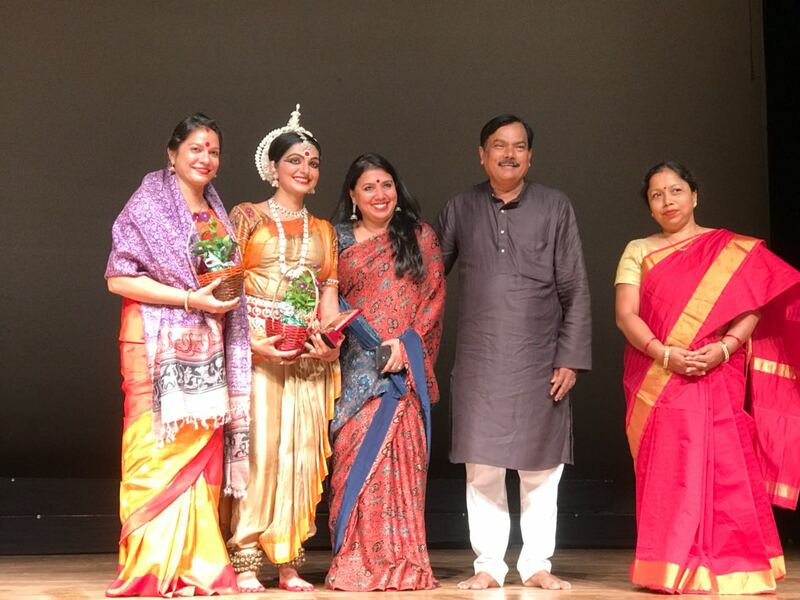 Her impressive performance was very well received by the odissi lovers present there… some of them remarked that her hard work, dedication was evident. 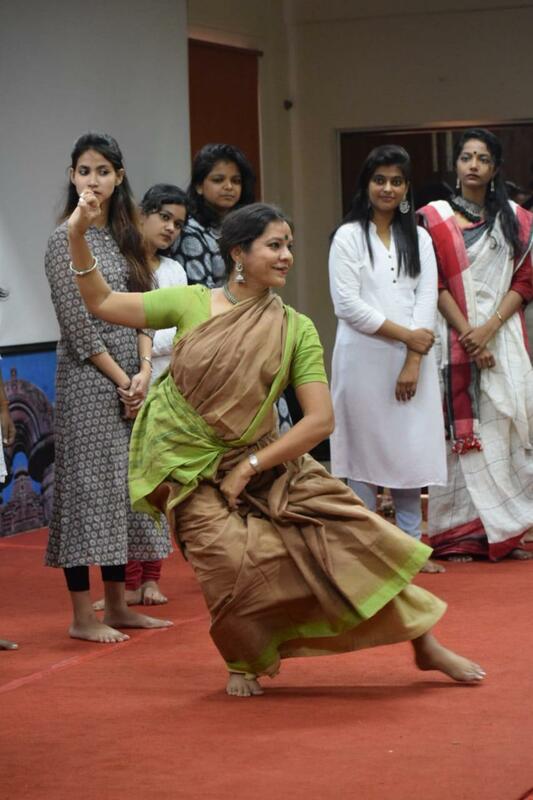 The style and teachings of her Guru Smt. 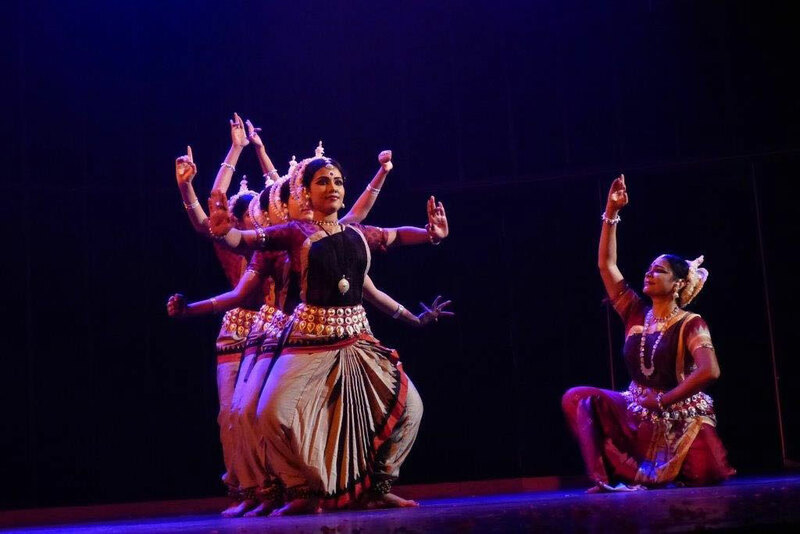 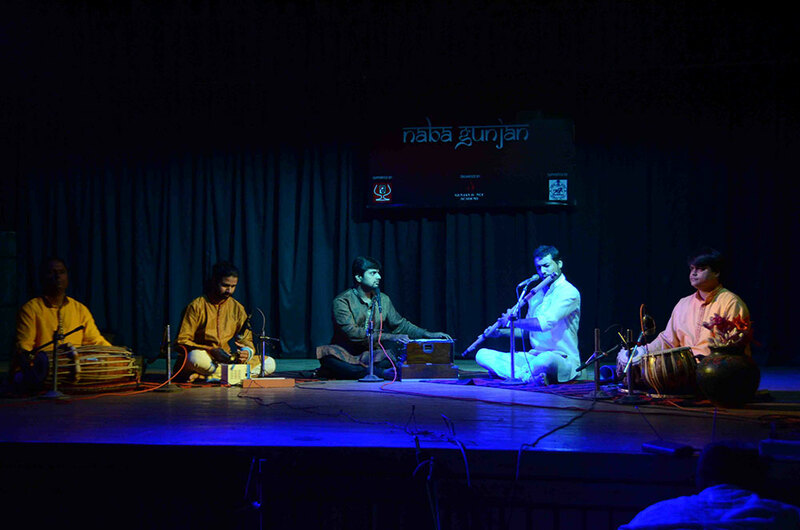 Meera Das manifested in her performance which is the hallmark of guru-shishya parampara. 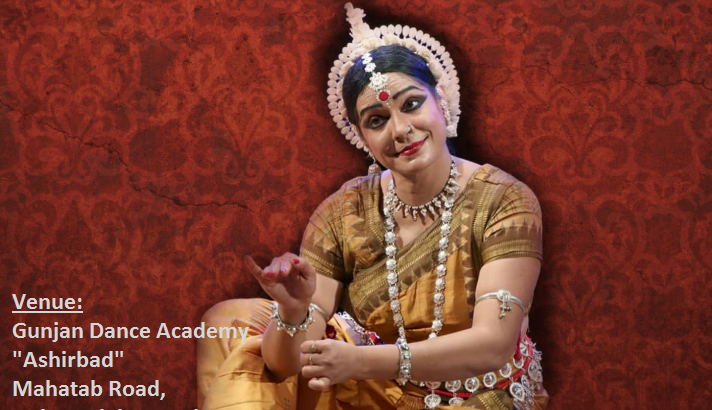 We are very thankful to Debadasi Nrutyanjali for giving her this opportunity. 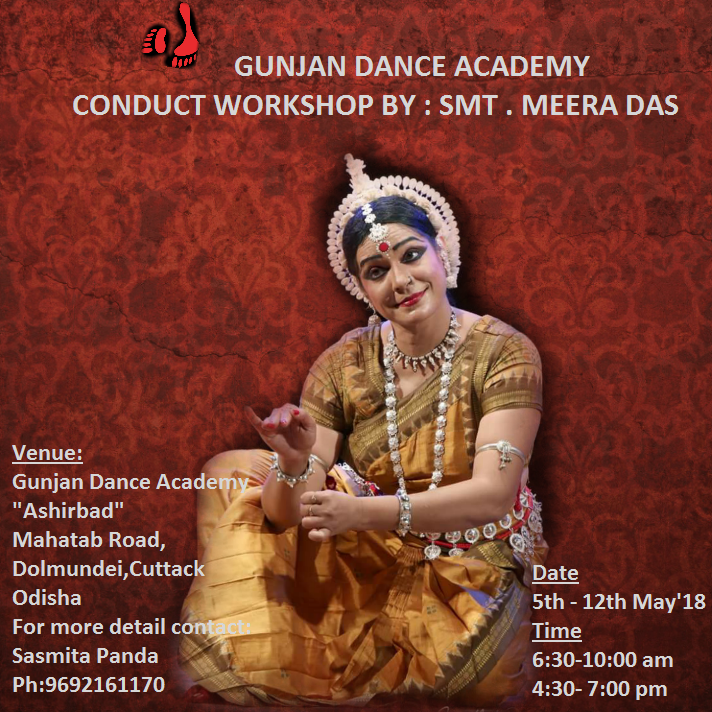 Gunjan Dance Academy Conduct Workshop By : Smt. 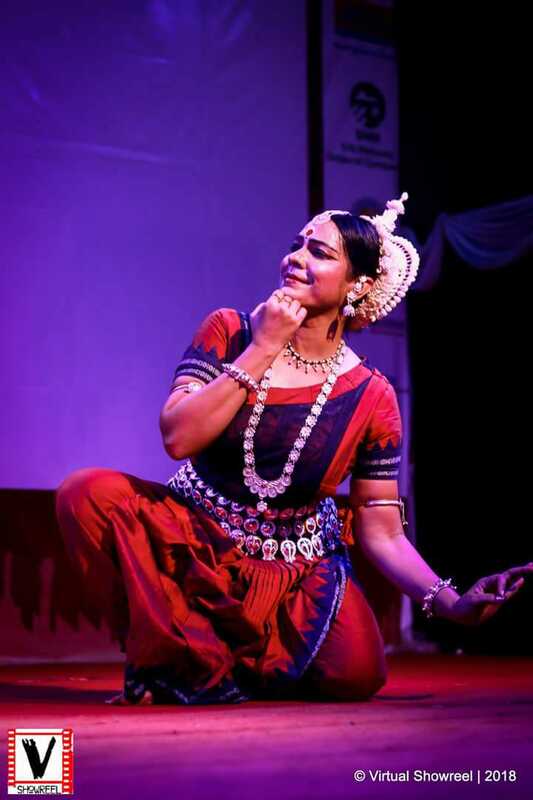 Meera Das. 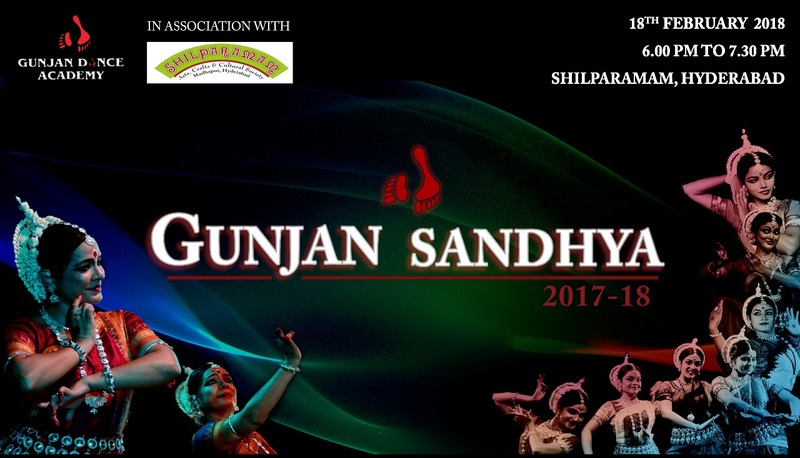 ‘Gunjan Sandhya 2018’ to be held on 18th February in Hyderabad.